As always, life gets in the way, and I only realized yesterday that I still haven’t posted a recap of Krampuslauf. What to say? The Krampuslauf kids… wow. We’re so proud of them! Tara, Xtina and I met up with the kids the night before our fundraiser and taught them a little choreography. (Well, Xtina and Tara taught them. I’m rubbish at that part, haha.) They recorded the dance, took great notes and practiced all month. Watching them on stage was great. 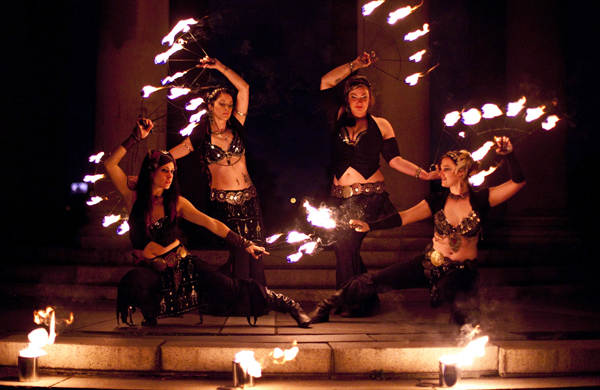 They had fantastic faux fire props- hoops with battery powered tea lights, LED hangers made from wire and fan operated fire pots. I hear they’re already working on how to make the props brighter and planning for next year. Can’t wait! The weather- how could it have been any better? I’ve never been sweating in my Krampuslauf furs before! This freakishly warm East Coast might make the holidays feel a bit strange, but it’s great for a mid-December outside gathering. We did have one small incident though- our intrepid Safety and All-Around-Awesome-Guy Alex ran eyeball first into a tree branch while he was helping back stage. A cornea scratch and eye-patch later he’s on the mend. You’d think our first major injury would be related to the dangerous things that we do, not an angry tree! Glad he’s feeling better. On to the photos. Of course, this is one of our most photographed events of the year. The costumes! The parade! Not to mention that the Krampuslauf group consists of some really great photographers. Steve Schultz and Michelle got together after the show to capture some great fire breaths. We’re so proud of our dragon! Ryan Wismer from PHL17 came by again and posted a really fantastic gallery. We’ve got a ton of photos over on facebook, here are some of my favorite. Here’s to a New Year, looking forward to everything 2016 will bring!! 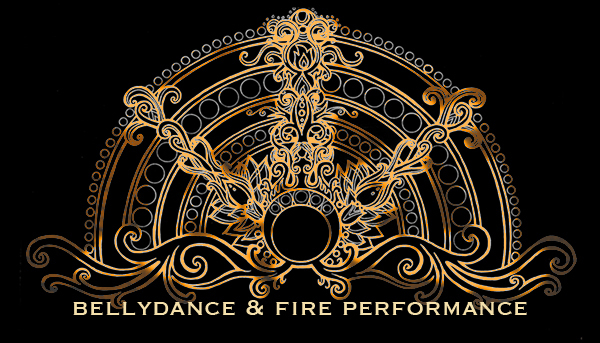 Bellydance meets fire in Philadelphia, PA.
For Booking: luxarati@gmail.com Interested in hiring us? You can also fill out this form and we'll be in touch!